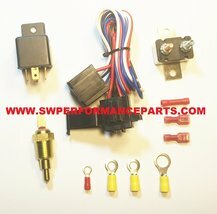 SWPP 140041 16" Heavy Duty 12V Radiator Electric Wide Curved S Blade FAN & Thermostat Kit, 3000 CFM Reversible Push or Pull with Mounting Kit. 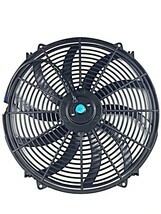 16 inch high performance universal electric radiator cooling fan and, Thermostat Kit. 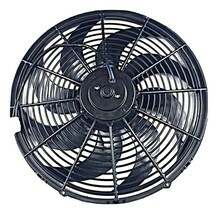 The fan is an 10 piece curved blade type. The motor is reversible and the fan is 12 Volt and 3000 CFM. The high torque motor features sealed ball bearings and fully balanced blades which insure low noise levels and a long life of smooth operation. The Heavy Duty Thermostat comes on 200 and turns off 180. Includes Detailed instructions. 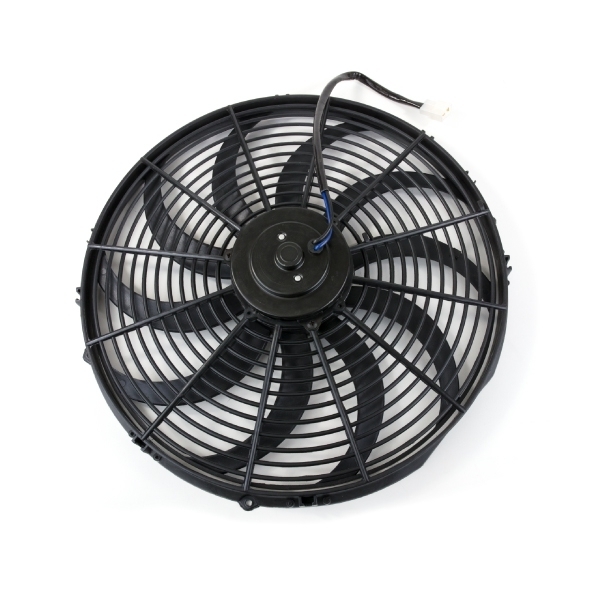 This Fan is Sold exclusively by Southwest Performance Parts. 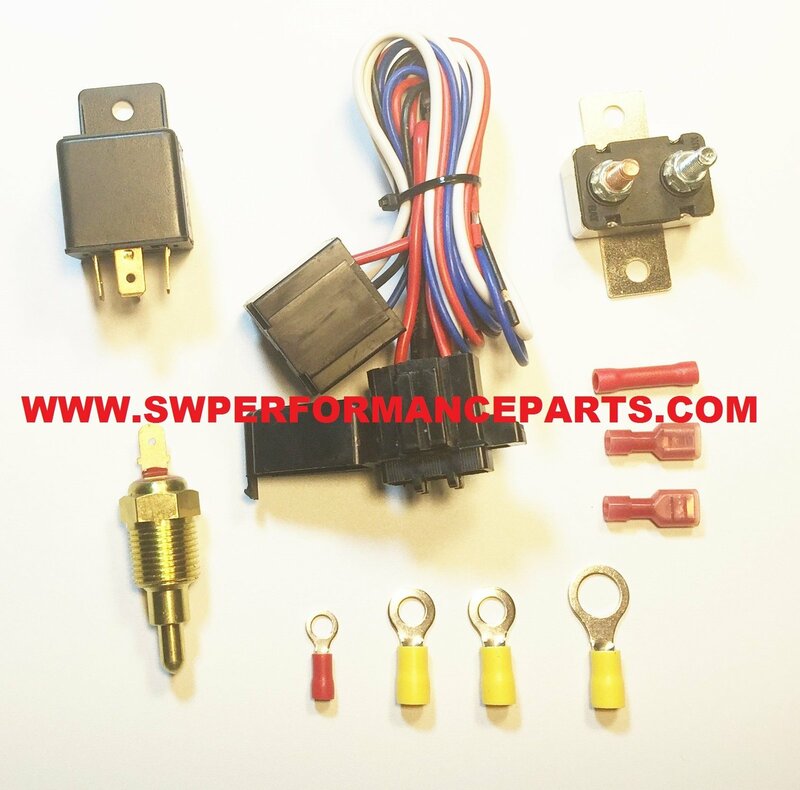 SWPP 140041 16" Heavy Duty 12V Radiator Electric Wide Curved S Blade FAN & Thermostat Kit, 3000 CFM Reversible Push or Pull with Mounting Kit. 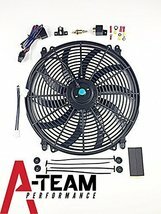 16 inch high performance universal electric radiator cooling fan and, Thermostat Kit. 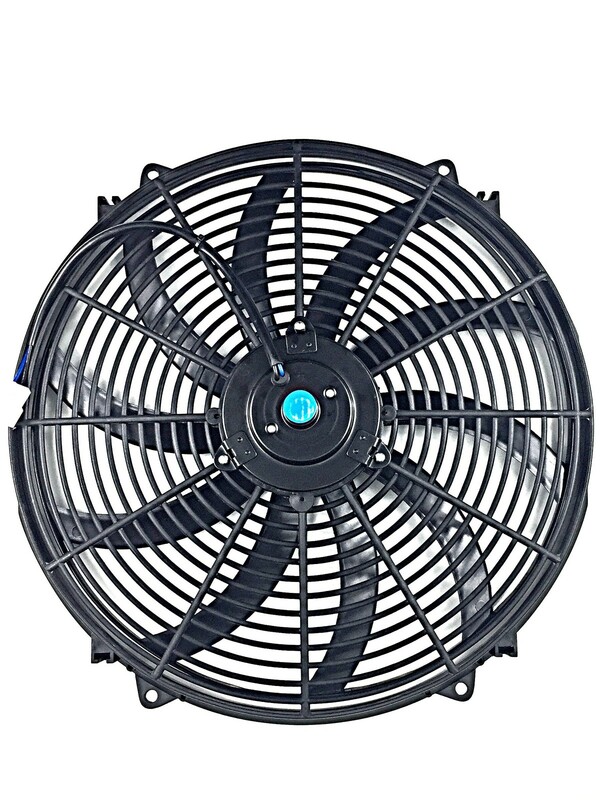 The fan is an 10 piece curved blade type. The Heavy Duty Thermostat comes on 200° and turns off 180°. Includes Detailed instructions. 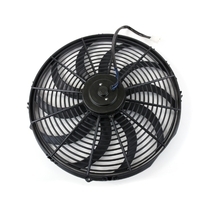 This Fan is Sold exclusively by Southwest Performance Parts.